Understanding how disasters happen and how to respond is a hard challenge. OCHA is the United Nations organization that coordinates international response to disasters. And it’s its responsibility to find the most appropriate ways to respond. Data is essential to save lives in disaster situations. For instance, people’s locations can help understand mobility patterns. And with that knowledge we can forecast where to build refugee camps and how many. 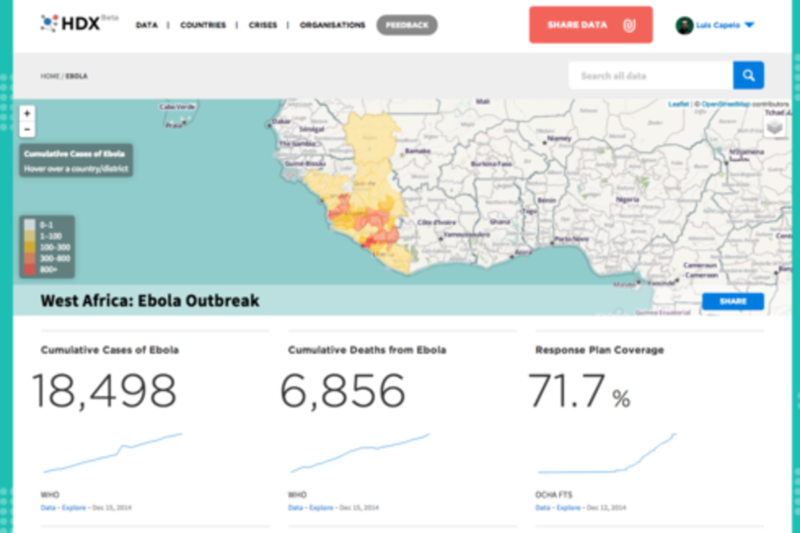 Humanitarian organizations are constantly trying to tackle that challenge, but up to this point there isn't a single place where responders can find the data they need to make decisions. HDX was created to support an emerging community of “humanitarian data scientists”. We are building a platform that allows data scientists to collaborate on disaster data with both data and skills. Fostering a community of humanitarian responders with a deep hacker spirit. Luis Capelo is passionate about creating data and analytical products, especially for the public sector. He is an obsessive learner; and very technically oriented. Enjoys working at the intersection of design, intricate analysis, and policy. Luis has 3 years in the humanitarian sector and one year at the United Nations headquarters in New York. He ranks among the 1/5 most active R programmers on GitHub. Open-source driven and open-knowledge advocate. And absolutely love working in new geographies and work environments. Quite enjoy consuming art and science.